Joe & Ruth Sparks and Warren Clements. Charles Weygant, The Sacketts of America, It would appear that the dates given in Weygant for the sisters Patty and Polly Sacket have been transposed. The birth date in "1524. Patty Sacket, b. Jan 13, 1794; m. (1514) Eleazer C. Sackett." is seen to be that of her sister Polly (Barbour Vital Records). An original birth record for Patty has not been found but it may be assumed that this was 8 May 1804 as recorded in Polly's record, "1529. Polly Sacket, b. May 8, 1804, d. July 25, 1892; m. Harry Swift." This accords with Patty's age given in the 1880 census and is then more consistent with the known date of her marriage (1828) and particularly with the date of birth of her last child (1846). It is assumed too that the date of death, 25 July 1892, given for Polly was actually the date of Patty's death. "Connecticut, Church Record Abstracts, 1630–1920", digital image, Ancestry.com, Warren, Church of Christ, "Sackett, Patty, bp. & adm. ch. 6 May 1821. 2:33. "; "Sackett, Patty, adm. ch. 6 May 1821, on profession. 5:76. "; "Sackett, Patty, ch. mem. 11 May 1825. 2:40." "Kansas Deaths and Burials Index 1885–1930", database, Ancestry.com, "Sackett, Patty, d. 25 Jul 1892, aged 88, bur. Oak Grove, res. 600 Everett St."
Charles Weygant, The Sacketts of America, "1514. Eleazer C. Sacket, b. Mar. 1, 1802, d. in 1789 [sic: 1889]; m. (1521) [sic: 1524] Patty Sacket." Barbour Collection of Connecticut Vital Records, "Sackett, Ebenezer, of Tallmadge, O., m. Patty Sackett, Mar. 26, 1828, by Rev. Hart Talcott. Warren Vital Records, 1:104." Barbour Collection of Connecticut Vital Records, "Sackett, Patty, m. Ebenezer Sackett, of Tallmadge, O., Mar. 26, 1828, by Rev. Hart Talcott. Warren Vital Records, 1:104." Charles Weygant, The Sacketts of America, "1524. Patty Sacket, b. Jan 13, 1794; m. (1514) Eleazer C. Sackett." 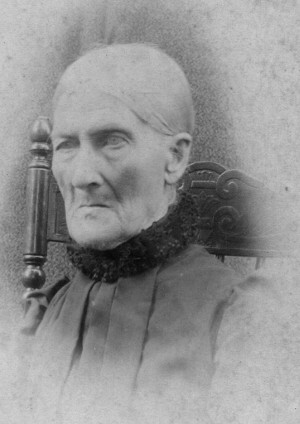 "Connecticut, Church Record Abstracts, 1630–1920", digital image, Ancestry.com, Warren, Church of Christ, "Sackett, Eleazur of Tallmadge, Ohio, m. Patty Sackett, 26 Mar 1828. 2:26a. "; "Sackett, Patty, m. Eleazur Sackett, of Tallmadge, Ohio, 26 Mar 1828. 2:26a." Greeley, Walter, 13, b. IL. Gray, Ward, 2, b. NY. Thomas MEILHEM, other, single, 18, b. IL, works on farm, father b. VA, mother b. IL. Sackett, Flora C, 40, single, school teacher, b. OH. "Kansas City Directory", database, Ancestry.com, 1890/91, "Sackett, Patty, widow Eleazer C, r600 Everett avenue."